LinkRunner AT Network Auto-Tester is the fastest way to solve network connectivity problems. 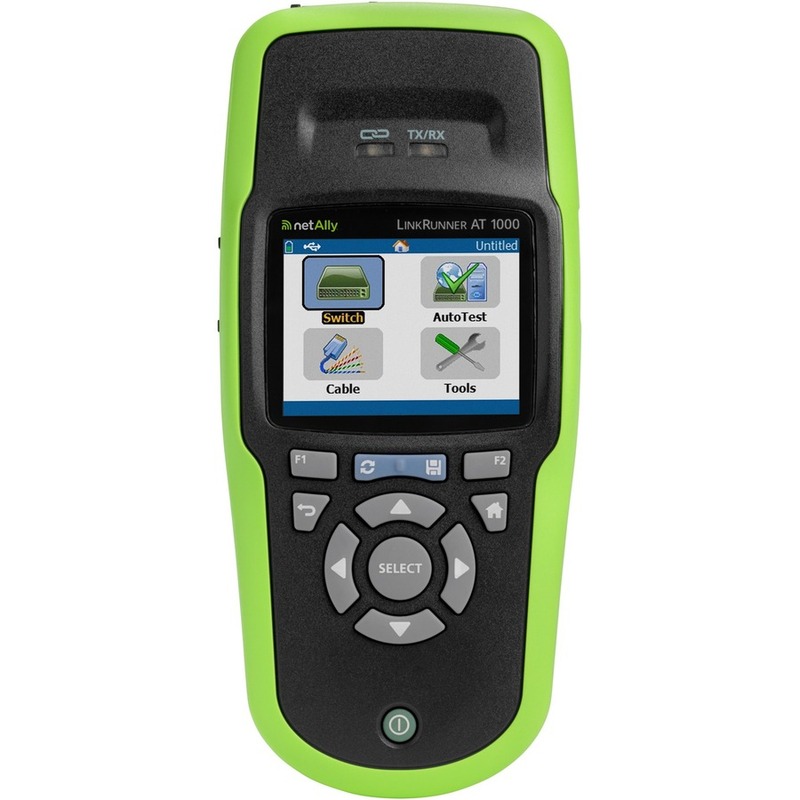 This rugged, handheld network tester takes the guesswork out of troubleshooting with its complete one-button AutoTest. AutoTest performs your required set of connectivity tests in 10 seconds, enabling you to accurately and quickly identify and solve network problems. Key features include verifying signal and link integrity at 10/100/1G over copper or fiber, unmatched TruePower PoE testing and loading, 802.1x authentication, cable wiremapping, IPv4/IPv6 readiness , streamlined UI and color display, full documentation of test results with storage for 50 reports, location and identification of cabling runs, and nearest switch information. Includes: LinkRunner AT 2000 tester with Li-ion battery, Wireview Cable ID #1, LinkRunner Manager software CD, USB cable, RJ-45 coupler, getting started guide, and soft carrying case.